Deciding to sell or buy a home is a big step. To make sure it's a step in the right direction, choose the best person best qualified to handle your real estate needs - a RE/MAX Sales Associate. Averaging three times the production and more advanced industry education than other agents, RE/MAX Associates are truly "The Real Estate Leaders" in quality customer service. Customer satisfaction is reflected in their high, industry-leading rate of repeat and referral business - 70% of our business is repeat or referral business. Belonging to the real estate network with the most market presence and market share, RE/MAX Associates have the most to offer you. RE/MAX associates lead the industry in advanced real estate education and production, and that is why no one in the world sells more real estate than RE/MAX. RE/MAX Associates are "Hometown Experts With a World of Experience." Across the globe, they made their living in the same communities in which they live. They're the people next door, or just down the block. APPOINTED AGENCY: RE/MAX Advantage is the first real estate company in the tri-states to practice Appointed Agency. Let's say you choose to purchase a home that is listed by the same company your agent works for. This is sometimes called an "in-house sale." With RE/MAX, your agent would be appointed to represent you and the listing agent would represent the seller. While both agents are in the same company, an Appointed Agent is NOT the same as a dual agent. The duties owed to each client under appointed agency by their agent would be to put your clients' interests ahead of the interests of any other party, to negotiate the best price and terms on your behalf. Your agent can reveal all important information the agent knows that might influence your decision to buy or sell. Your agent must all keep information about your bargaining position confidential and be loyal, fair, and honest in all business dealings with you. PROVEN PROFESSIONALS: Since 1991 RE/MAX Advantage Realty has sold more real estate than any other real estate company in the Tri State area. Last year, Re/Max Advantage agents sold approximately 1 out of every 4 homes sold. Our Realtors are proven professionals with an average of 15 years experience, which is twice the industry average. Our associates control their own advertising budget and have the marketing tools necessary to sell your home. They understand the importance of targeting the market to find qualified buyers to sell your home quickly. REMAXDBQ.COM: Our sophisticated, user friendly website provides buyers with a powerful interactive search engine. Our website allows users to view virtual tours, look at upcoming open houses, view Google maps, community and school information, mortgage rates, and even share a home with friends on Facebook. Our website is also 'on the go' with mobile phone search capabilities. ONLINE: Over 80% of home buyers begin their search for a new home on the internet, long before they ever contact an agent or view houses personally. Your home will receive enhanced exposure on the #1 national real estate website, Realtor.com featuring 13.7 milion visitors per month. 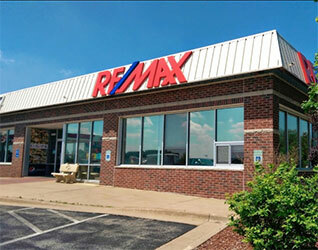 Re/Max Advantage also provides their listings a Featured status on Remax.com and AccessDubuque.com. Your listing will also be linked to over 45+ websites for maximum exposure. VIRTUAL TOURS: No longer are buyers content with seeing just a few photos, they want to see more of the homes they are most interested in. Re/Max Advantage offers the marketing power of virtual tours with 25+ photos on most listings. PRINT: RE/MAX is the leader in print advertising in the Telegraph Herald Sunday paper featuring full color ads every Sunday for our residential real estate listings - to best promote your home to the buyers looking for a home. OPEN HOUSES: RE/MAX Advantage Associates provide supplemental open house advertising in the Telegraph Herald's Saturday Open House Map, and include a full color picture ad in the Telegraph Herald Sunday paper. We also have open house postings on AccessDubuque.com and RemaxDBQ.com, and their is a link to open houses each week on our Facebook page. So when you are ready to make a move... take the right step and call the person best qualified to handle your real estate needs - a RE/MAX Advantage REALTOR®.